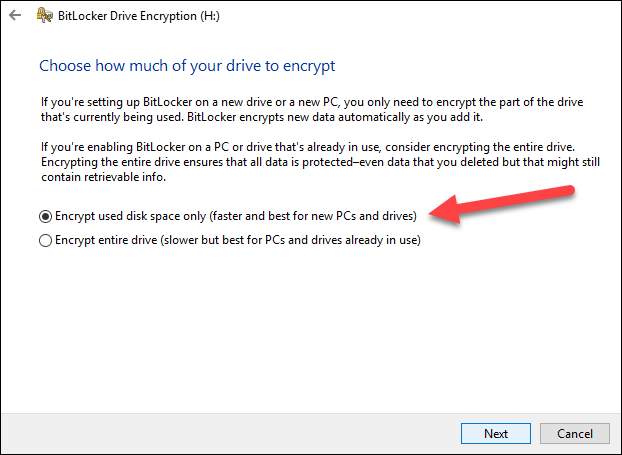 Proud Programmers Blog :: How to configure BitLocker so it doesn"t need 72 hours to encrypt 2 TB! 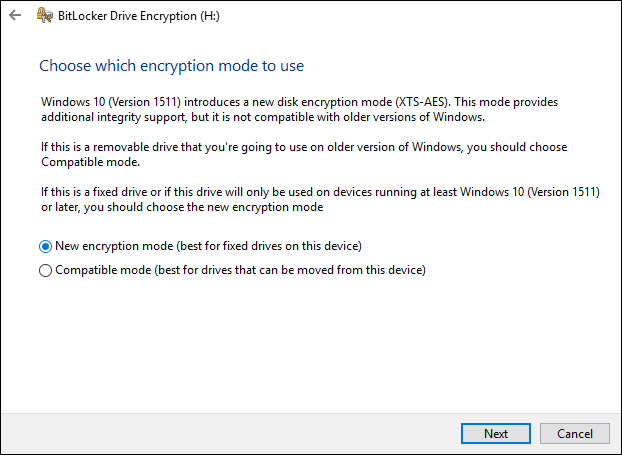 My first attempt to enable BitLocker – encrypting the whole harddisk … NOT!!! Luckily the encryption process can be paused. 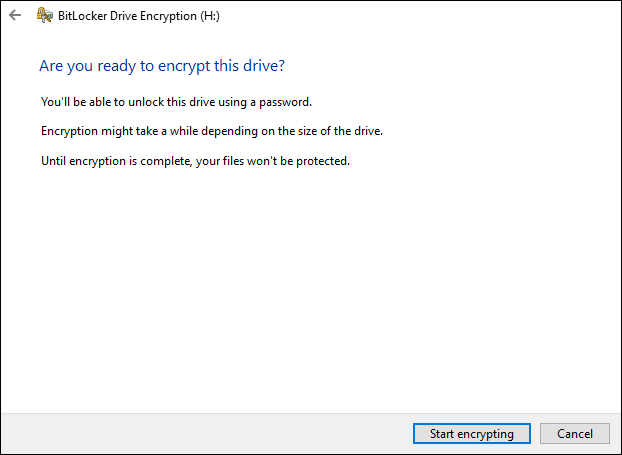 My second attempt – encrypting only the used space – BETTER! In other words – my harddisk is empty when I start the prodedure below. 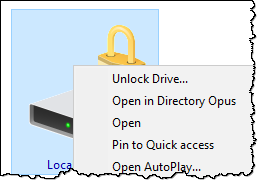 If the wizard doesn’t find any problems, you should be presented with a dialog box letting you choose how to unlock your drive later. 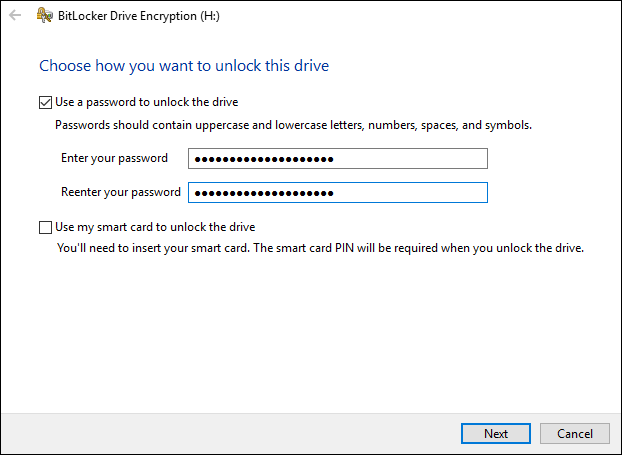 Remember, the drive will be heavily encrypted, so you need either a password or a certificate-file somewhere. I choose the password approach. The other approach is typically used if you want to store your certificate on an USB stick or similar. 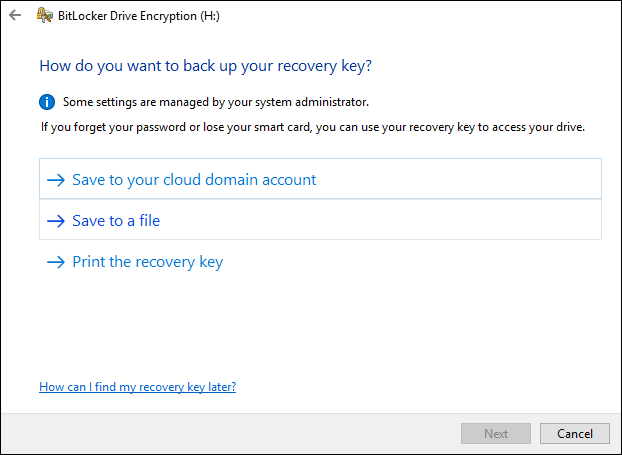 Next you must indicate where to store your recovery key. 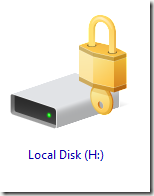 This must be somewhere other than the disk you are about to encrypt. Next you need to choose what to encrypt. 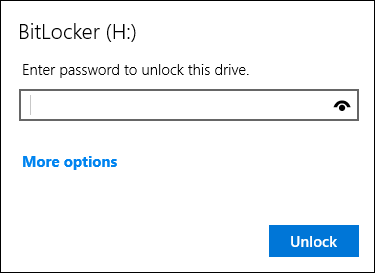 This is where I stepped wrong on my first attemt to enable BitLocker. 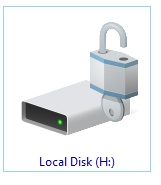 Choose the “Encrypt used disk space only”. Things aren’t always a shiny as they appear! 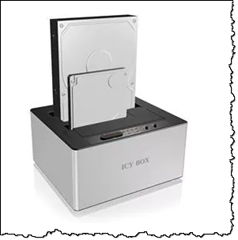 I am not in the process of copying my backup files to the encryped harddisk, and that is not very fast either . 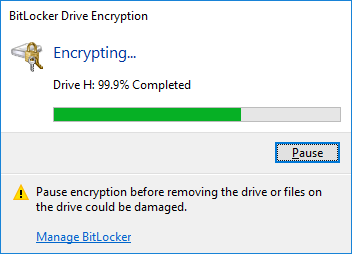 Of course Windows and BitLocker has to encrypt the files as they come onto the drive and that takes time. But … this seems to be along the same lines as during my first attempt? Note that the USB Tree View revealed that my drive indeed was NOT on Super Speed, and thus running USB 2. This was probably the direct cause for extremely slow BitLocker-performance! "The parameter is incorrect (87)" after trying to unlock ?!?! This also seemed to take a long time, so I aborted the whole thing (yup, CTRL + C …), but afterwards the drive was back on track! Suspicious! 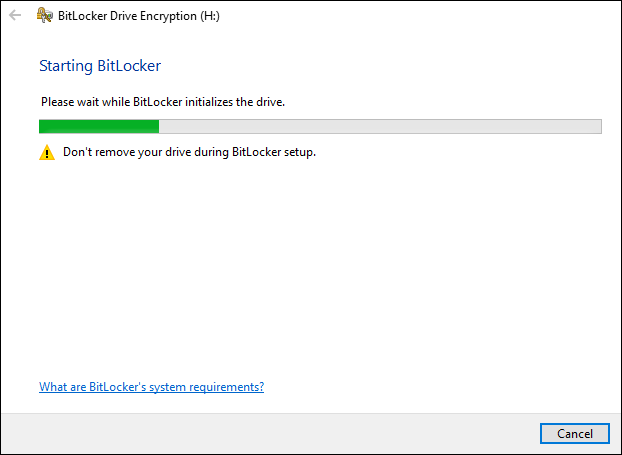 By the way – I am extactly 1 minute away from abandoning BitLocker here. I do not feel comfortable when super advanced tools like this gives me trouble! I will give it another try.